TUESDAY, Jan. 17, 2017 (HealthDay News) -- Planning a hiking trip in an eastern U.S. national park? Better pack tick repellent -- a new study found these parks are home to ticks that carry Lyme disease. Blacklegged ticks -- also known as deer ticks -- carrying Lyme disease were found in nine national parks: Acadia National Park in Maine; Catoctin Mountain Park and Monocacy National Battlefield in Maryland; Fire Island National Seashore in Long Island, N.Y.; Gettysburg National Military Park in Pennsylvania; Rock Creek Park in Washington, D.C., and Manassas National Battlefield Park, Prince William Forest Park and Shenandoah National Park in Virginia. This is the first time researchers have confirmed that the ticks are living at the parks, although it's long been suspected that the ticks were there because of human Lyme disease infections. 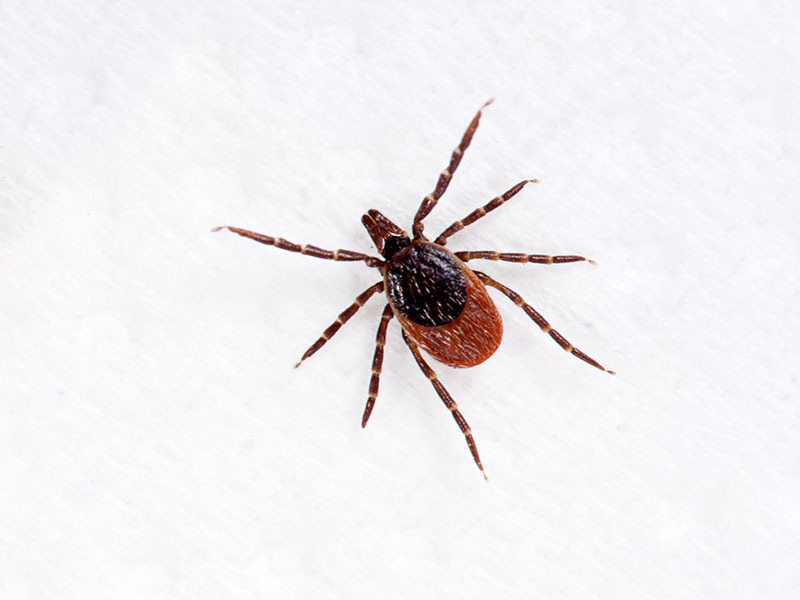 "We know Lyme disease is increasing both in numbers of infections and in geographic range in the United States," said researcher Tammi Johnson in a news release from the Entomological Society of America. Johnson is with the U.S. Centers for Disease Control and Prevention. "This is the first large-scale survey in multiple national parks, and though suspected, it had not been previously confirmed that ticks in many of these parks were infected. It's quite likely that ticks infected with Lyme disease spirochetes are present in other parks in Lyme disease endemic areas, too," she explained. Lyme disease symptoms include fever, headache and rash. Left untreated, the infection can spread to the heart, joints and nervous system, according to the CDC. Use insect repellents that contain 20-30 percent DEET. Apply them to exposed skin and clothing. You can use permethrin-containing products on clothing as well. Don't sit or lean on logs when you're out on the trail. Check yourself for ticks -- and check pets and gear. Remove any ticks you find attached. Once you leave an area that's home to ticks, shower within two hours. This will help rid your body of ticks. To kill ticks on your clothing, put your clothes in a dryer and heat them on high setting for 10 minutes. "The results of this study serve as a reminder that while enjoying the parks, visitors can and should take steps to help protect themselves and their loved ones from tick and other bites," Johnson said. The study findings were published in the Journal of Medical Entomology.